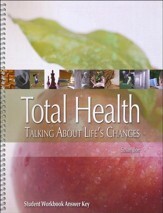 This sensitive guide to health for teens presents a well-rounded approach to physical, spiritual, mental and social health. 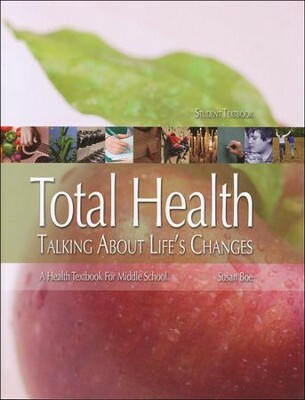 Designed for middle-schoolers, this transitional manual helps to explain the changes that are occurring in and around them. Written directly to the teen from a friendly and caring perspective, sidebars contain information on dangerous situations, and "Logon!" boxes contain information to further research online. Black and white illustrations and photographs add visual emphasis to the text. At the end of each chapter, a review contains terms to define, questions based on the text, and biblical application questions. 336 pages, with index and glossary. Softcover. 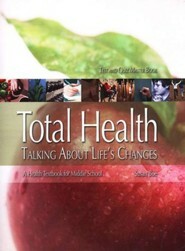 Q: What age and grade is this text book appropriate for? My daughter is 11 yrs old and in grade 6. This is designed to be used with grades 6-8. 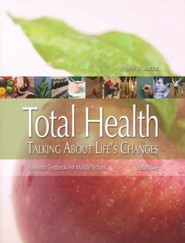 I'm the author/artist and I want to review Total Health Middle School, Student Softcover.